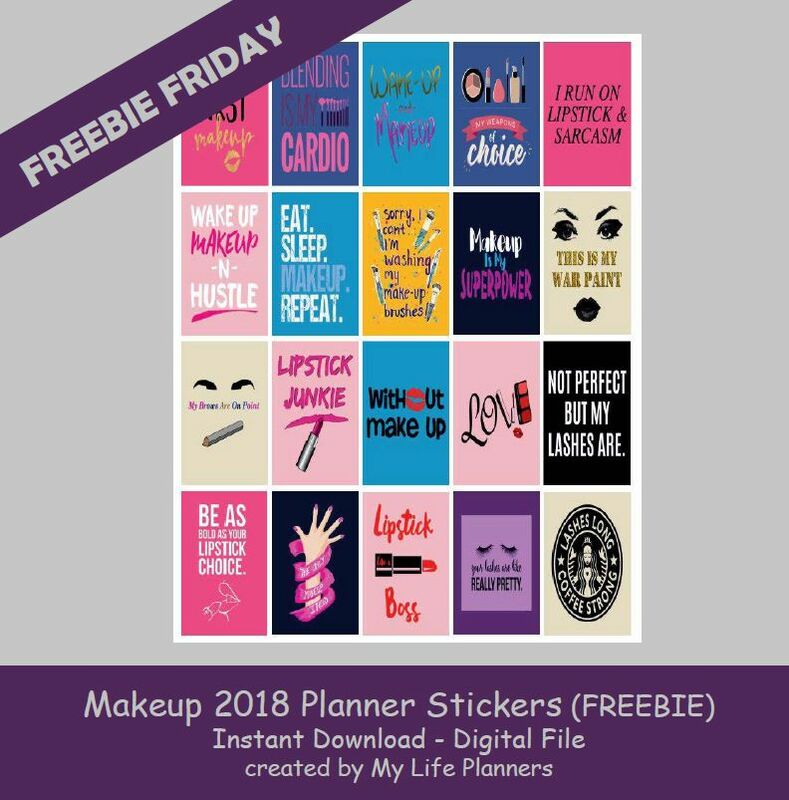 Some women do not leave the house without this week’s feature of Freebie Friday. I don’t happen to be one of those women. I don’t usually wear makeup except for special occasions. When I do, I look like a totally different woman. So this week, don’t let your planner be without it’s Makeup stickers.